COLUMBUS, Ohio – Though soil erosion prevention programs have resulted in a 30 to 40 percent decline of attached phosphorus in the Lake Erie basin since the 1970s, total phosphorus emissions (which is comprised of both attached, or absorbed, and soluble, or dissolved phosphorus) in the region have increased said Brent Sohngen, an environmental economist in Ohio State’s College of Food, Agricultural, and Environmental Sciences. “Part of our failure to reduce phosphorus emissions stems from the use of voluntary approaches for agriculture, which struggle to reduce pollution even under the best circumstances,” Sohngen said. Sohngen spoke Dec. 1 during the kickoff of the college’s 2014-2015 Agricultural Policy and Outlook series. The event featured presentations by experts from the college’s Department of Agricultural, Environmental and Development Economics (AEDE), who discussed issues the food and agricultural community should expect in 2015, including policy changes and market behavior with respect to farm, food and energy resources, and the environment. The kickoff meeting initiates a series of local meetings to be held statewide through the end of the year and into early 2015. Dates and times for the meetings can be found at http://go.osu.edu/2015outlook. Though the farm bill has placed a significant focus on conservation programs since the 1980s, research shows that these programs have had little impact in actually reducing phosphorus emissions, Sohngen said. Conservation program payments are at an all-time high with current funding at $80 million per year in Ohio alone. Over the last decade payments have increased 10 percent per year. However, to achieve the recommended 40 percent reduction in phosphorus emissions recommended by the Ohio Phosphorus Task Force, more than 12,000 tons of phosphorus emissions must be reduced on farms in the region, which based on the current voluntary incentive structure, is not likely to occur, Sohngen said. The incentives farmers face to reduce phosphorus emissions must be changed, Sohngen noted, through the use of market-based instruments such as a phosphorus tax, or a performance standard. “With some regulatory oversight and the use of market-based instruments, the 4-R program (right source, right rate, right place, and right time) could be wildly successful. Specifically, a strict limit on the rate of phosphorus applied to farms, would increase the incentive farmers have to use the right source at the right place and time,” he said. Sohngen notes that past price increases in phosphorus costs have reduced emissions. For example, high phosphorus prices from 2006 to 2011 resulted in reduced soluble phosphorus emissions by 28 percent in the Maumee watershed and 21 percent in the Sandusky watershed. “Land owners are very good at responding to market conditions,” Sohngen said. Sohngen also notes that based on his analysis, a market-based program may cost tax-payers less than the current suite of voluntary conservation programs currently offered in the farm bill. Currently, the conservation programs cost about $14 per acre, per year, while his research team estimates that market-based instruments to reduce phosphorus emissions would average around $6 per acre, per year. 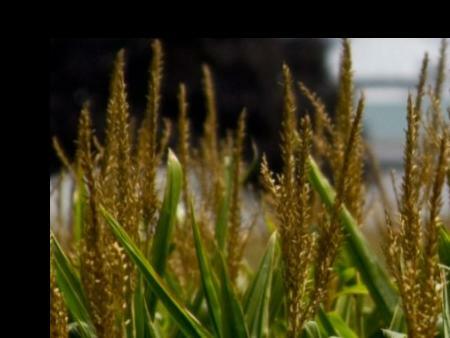 To read more about Sohngen’s phosphorus tax research, visit: http://go.osu.edu/uj3. Sohngen is an AEDE professor and director of Ohio State’s Environmental Policy Initiative. He also holds appointments with Ohio State University Extension and the Ohio Agricultural Research and Development Center, the statewide outreach and research arms, respectively, of the college. To read Sohngen’s policy brief prepared for the 2014-2015 Agricultural Policy and Outlook series, visit: http://go.osu.edu/uhQ.